Did you know that the number of fatal accidents involving large trucks or buses saw an increase of 20 percent between the year 2009 to 2015? According to Federal Motor Carrier Safety Administration, in 2015 alone, there were “3,598 fatal crashes and 83,000 injury crashes.” These numbers are exorbitant and unacceptable. One night in a hospital bed can cost upwards of $3,000. According to Trusted Choice, “A typical in-patient stay in a hospital is about 5 days, and that may cost you over $10,000. This figure does not include major procedures, ambulance fees, or other charges.” For the average family, that dollar amount is almost impossible. At The Carter Law Firm, LLC, we handle personal injury claims and unfortunate wrongful death cases with care. Our capable lawyers have experience in dealing with insurance adjusters and lawsuits involving trucking accidents. Don’t let the bad choices of another ruin your life. The Carter Law Firm, LLC is here to fight for YOUR rights, and keep insurance companies or defense attorneys from deflecting blame from their clients. Taking a few extra precautions may help decrease your chance of being injured in a wreck with a commercial vehicle. However, if you have already been in an accident, we are here to help. 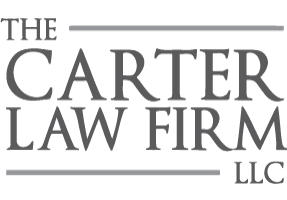 The Carter Law Firm, LLC in Fultondale, Alabama has over 30 years experience serving Fultondale, Gardendale, and the surrounding Jefferson County communities. You don’t have to go downtown for an experienced team. Contact us today for more information. Slip and Fall; Is The Owner Always Responsible?